Shah Rukh Khan at Zero trailer launch; Deepika Padukone and Ranveer Singh in a still from ‘Finding Fanny’. 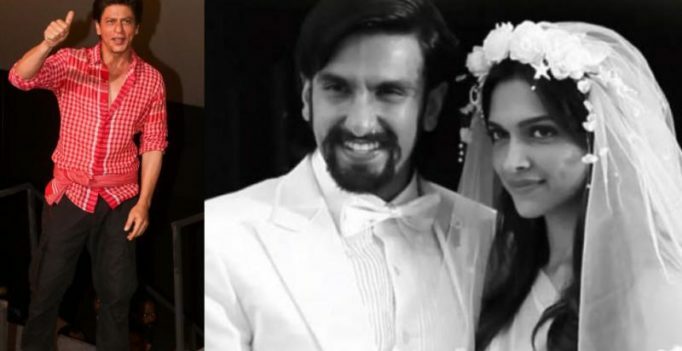 Deepika Padukone and Ranveer Singh’s wedding has become the talk of the town. Their wedding month is already here and November 14-15 will be the time when they will be called Mr. and Mrs. Singh. Directed by Aanand L Rai, Zero will see Shah Rukh play the role of a vertically-challenged person in the film. Also starring Anushka Sharma and Katrina Kaif, the movie is set to release on December 21.